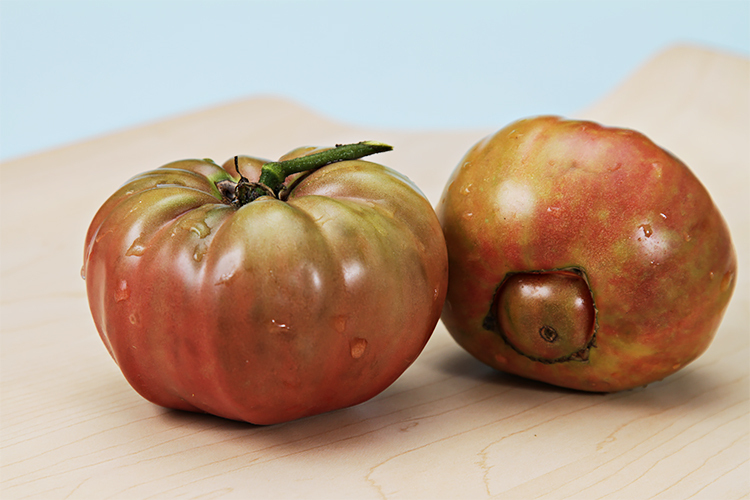 If you’ve never had a Bloody Mary made with fresh tomatoes, you’re in for a treat. 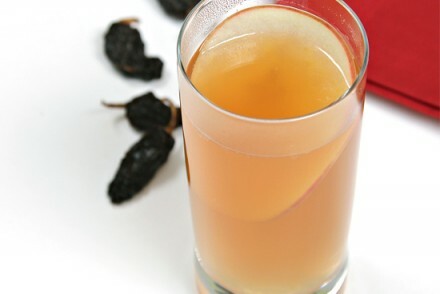 It makes a lighter, more delicate and yet unbelievably flavorful libation. Here the fresh tomatoes are puréed with four different fresh herbs: basil, oregano, thyme and parsley. The herbs infuse with the fresh juice for 20 minutes before being strained – time enough to impart their ambrosial perfume to the tomato juice. On a side note, ground black pepper is truly the spice of choice for this drink. It brings a spicy-kick without overpowering the delicate flavors of the herbs. So go easy on the Tabasco, but let your black pepper mill run free! 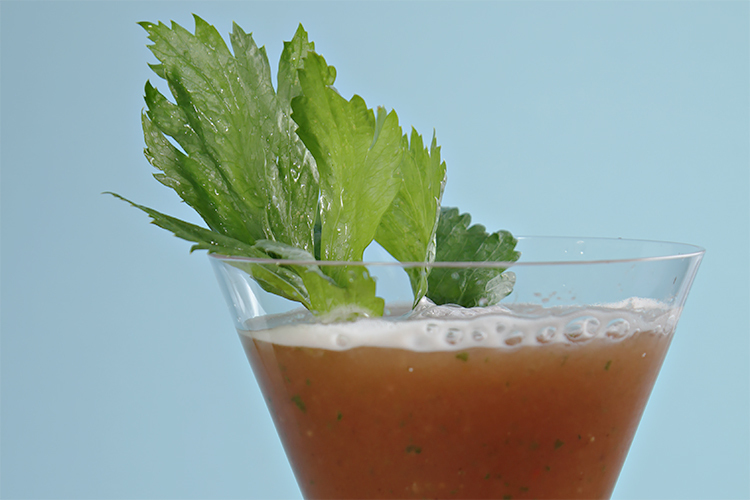 This is not just another Bloody Mary; it’s a refined cocktail – you’ll want to savor every sip. Step 1: To make the tomato juice – Place the tomato pieces, basil, oregano, thyme, parsley, salt and pepper in the bowl of a food processor. Pulse until finely chopped. Scrape the sides of the bowl. Then process until puréed, about 20 seconds. Do not over-process or the tomato purée will become lighter in color and yield a less-attractive cocktail. Transfer to a bowl and let stand at room temperature for 20 minutes so the flavors develop. Step 2: Transfer to a fine sieve suspended over a bowl. With a silicone spatula, stir the purée until all the juice has been strained and only the pulp, coarse herbs and seeds are left behind. 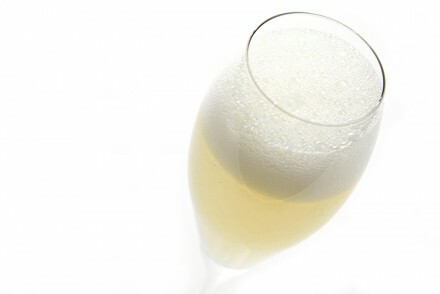 You should have 1 1/2 cups (12 oz) (355 ml) of juice – enough to make 4 cocktails. Transfer juice into a squeeze bottle and refrigerate until ready to use, up to 24 hours. 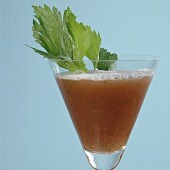 Step 3: To make the cocktail – Shake the tomato juice, vodka, lemon juice, Tabasco, angostura bitters and celery bitters with ice cubes until a thin layer of frost appears on the outside of the shaker. 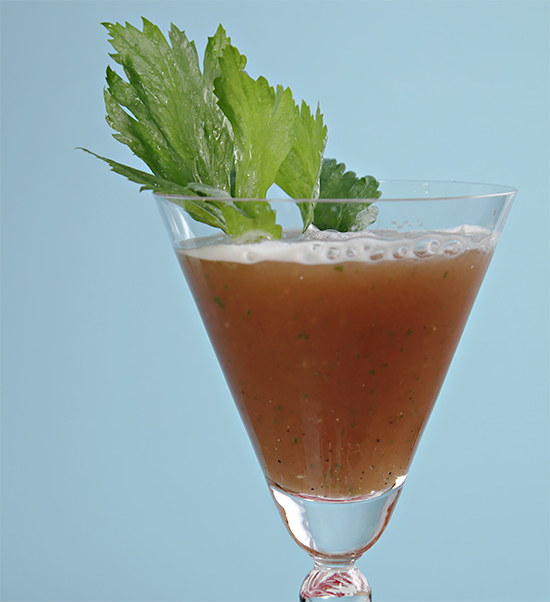 Pour into cocktail glasses, garnish with a celery leaf and serve ice cold. Ooooh, I want one right now! Sounds so good with fresh tomatoes and herbs. I’m with you Balvinder… Cheers! Viviane, I’m ready for a treat! It looks delicious, thank you for the recipe! Oh, wow! That looks so enticing. I want to make it right away. Thank you for your wonderful comments everyone! Four weeks left before local tomato season is over here on the East Coast, but who’s counting… Cheers! I now know what to do with my last tomatoes of the season. Thanks for the recipe. Yum! I need to make a bloody mary soon, my counter is over run with tomatoes! Yours sounds delcious! 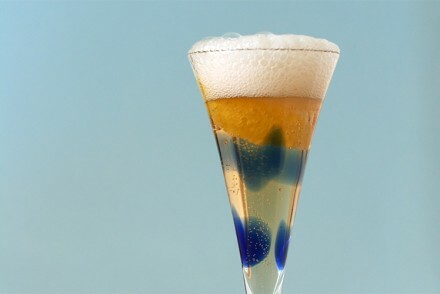 I’ve never heard of celery bitters before but I can’t wait to find them and make this cocktail. Yum!